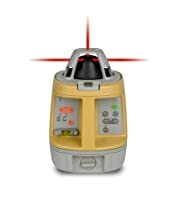 Check out top features that come with the package in the following Topcon RL-VH4DR Rotary Laser Level review. This seems like the most important feature you are going to get from this laser level system. The set up time at the construction site has been halved by using such a model. Once it is on the right level, using it should not be a problem at all. You simply have to set it up within 5 degrees and push the power button. Once it is on, the Topcon laser level RL-VH4DR will start leveling itself within just five seconds. Such fast operations should make it easy for you to use the laser level. With most of the controls on both the remote and the machine, sometimes it feels easier when you can control the laser level from a distance for some reason. For most people, what would be a hindrance would be the range of the remote control. For the model RL-VH4DR, it comes with a remote control that will give you real control over the way you work up to 300 feet (100 meters) in working range. You will definitely find it easier to make adjustments from a distance. For most contractors, the problem they would have with the laser levels would be the issue of lack of power in the area they are doing the construction. What if all that was to change with this model. The Topcon RL-VH4DR Rotary Laser is made to work on power source options to make it more versatile. You could use the alkaline batteries, rechargeable batteries or even AC. Depending on your location and source of power available, you can switch from one source to another depending on the type of power source you think is great. Whichever source you choose, the model will always deliver the same impressive performance. The rotating speed and laser beam speeds are often important factors any person would want to look for when it comes to buying the best construction laser level. This Topcon laser level comes with different speeds from 0 to 300 RPM at which the model can operate. You simply have to choose the right type of speed depending on the current application. You can also do the same for the scanning speed with the model. Just like that, handling the construction projects just got easier. If it is going to be the best rotary laser level, the durability is also a factor any buyer would keep in mind. It is not always that you find a laser level having the best features and still durable. Well, for this model, it has been built to last longer in rugged environments. The casing is designed to keep the internal components safe from any damage such as water and dirt. The best part is that the maintenance is not hard at all. You simply have to follow the manufacturer’s instructions on maintenance and you should be good to go. The Topcon rotary laser series have been part of the professional construction life of many builders over the years. Even if this is a new product, it is still an improvement of a series most contractors have loved. With its new features and performance, each buyer now will have something new to say about it and how you can easily benefit from it. 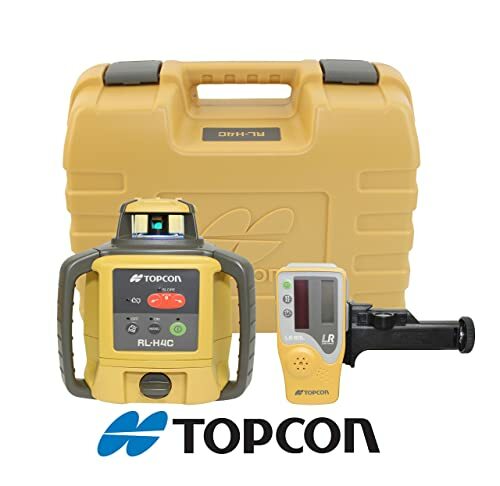 When looking for a good construction laser levels, you may come to expect from Topcon. You also realize that there are several models of Topcon lasers available and you are wondering which model is best for your projects. To help you make decision quickly, in this review, I also compared 2 of top-rated Topcon laser levels: Topcon RL-H4C and Topcon RL-VH4DR. 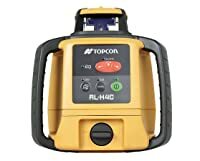 The Topcon RL-H4C Rotary Laser Level is considered the best choice for professional contractors for its impressive accuracy, long working range and significantly long battery life. While the Topcon RL-VH4DR is highly recommended for its versatility and can be used for multi-purpose applications. The major differences between these two models would be in terms of accuracy, rotating speed and battery life. 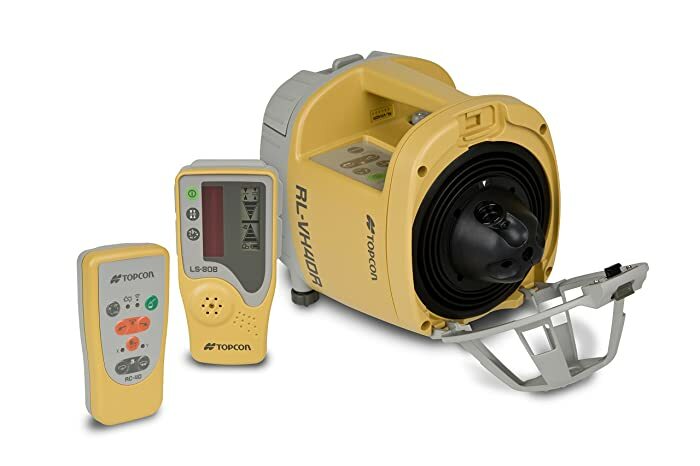 The Topcon RL-VH4DR comes with an accuracy of 2mm/20m, rotating speed of up to 300RPM and a battery life of 30 hours when operating on alkaline batteries. As for the Topcon RL-H4C model, it comes with an accuracy of 10 arc seconds, a rotating speed of 600 RPM and 100 hours of battery life when running on the alkaline batteries. 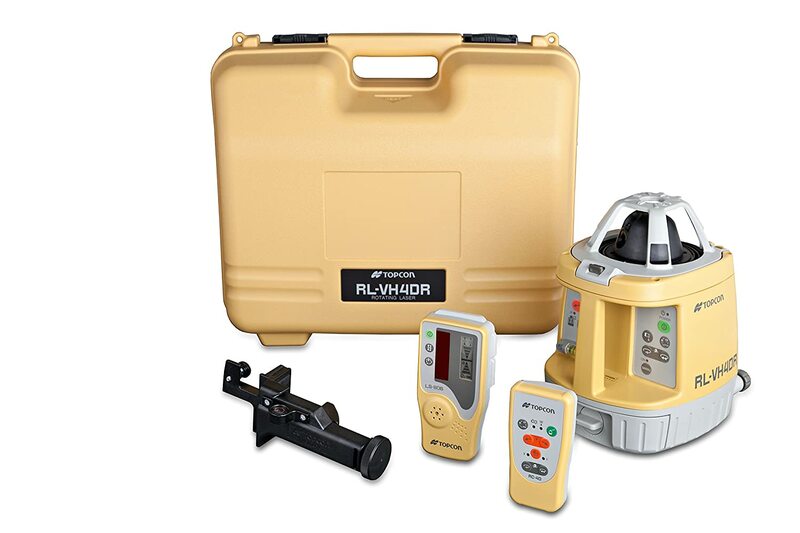 Being one of the best construction laser levels, you could find the Topcon RL-VH4DR Self-leveling Rotary Laser Level useful for several applications. It is not just for outdoors, but also the indoors depending on the project you want handled. The best part is that you will always end up with more benefits if you choose such a product. From its design to functionality, it is all about making the most out of it. This Topcon laser level will give you the right performance worth the money you are paying for it. For more choices of best rotary laser levels, read this article.